SRB Field Rests Pro Staff Patrick Mullen shares his experience of an early season goose hunt that turned out better than expected. Early goose hunting season 2016, I experienced success on an unlikely hot and balmy September afternoon while sitting in a ground blind in the middle of a wheat field. Although high temperatures are likely during the early season, the 80-degree afternoon was almost unbearable. I was hunting a wheat stubble field out of a ground blind and the overcast sky did little to relieve the high temperatures causing my camouflage to stick uncomfortably to me. Blinds can often be cumbersome to hunt out of having to finagle your weapon for the shot; it is not always fluid. Not to mention having to lay your shotgun down on the ground in the mud, snow, or dirt. The rests allow me to have my gun placement the same every time resulting in higher accuracy or picking up and shouldering the shotgun for the shot. This is why I use SRB Field Rests. The SRB Field Rests that I used on this particular hunt was the SRB 11″ Gun Rest. 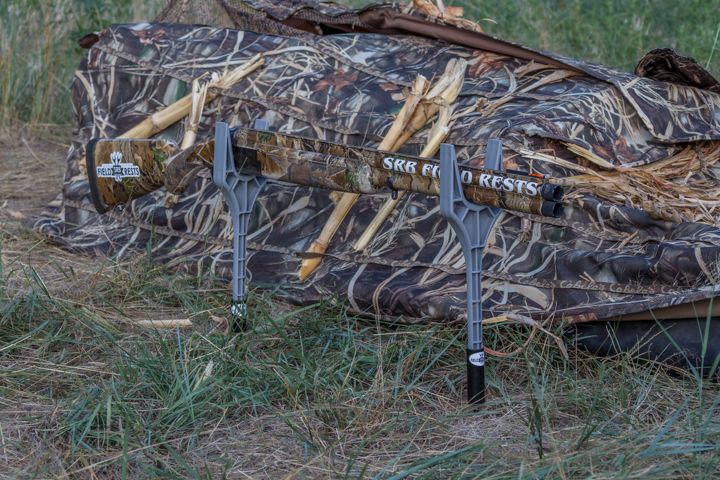 The SRB 11″ Gun Rest keeps your entire gun out of the dirt and mud, 11” off the ground. The 11″ rests are designed to be used inside blinds or just outside of layout blinds. This set includes two sturdy steel black powder coated sockets with 5” spikes and two durable molded plastic rests. The spikes are sturdy and capable of being driven into the frozen ground or even into solid ice. Within limits, the rest can be cut down easily for customized height. Accommodates all extensions, available in gray, black and Brown. Overall length for packing is 14” at a total weight of 16 ounces. On this particular hunt, I used my SRB field rest outside the blind to keep a low profile due to the short stubble. My SRB field rest allowed me to keep the gun out of the dirt. Having the field rest outside the blind also allowed me to not have the gun sitting in my blind resulting in a safer and easier entry. I waited patiently and about an hour left of light, and just like clockwork, the geese started to fly. With minor calling and a goose flag, immediately came the first flock. This flock was honking like crazy with wings set just feet out and inside the decoys. I sat up and fired. Three shots! Three dropped! I quickly reloaded another round and dropped the fourth at about fifty yards. I quickly gathered the downed geese and got back in the blind. It wasn’t but a short time and here came the next volley. 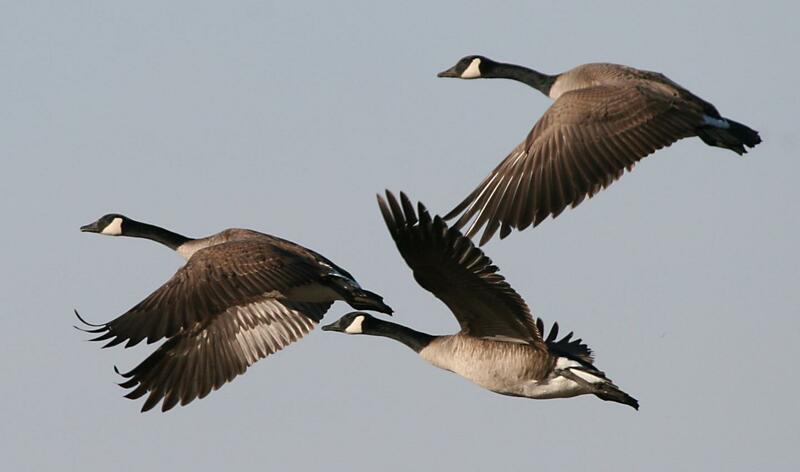 As they lit in the decoys I sat up, simultaneously picked up, shouldered my shotgun, and fired; dropping my fifth goose. I was able to shoot a limit within ten minutes. After I downed the last bird, I set my gun in my SRB field rests and walked out to pick up the decoys while reflecting on what started out to be a miserably hot afternoon in the goose blind and ending up being a very successful hunt.